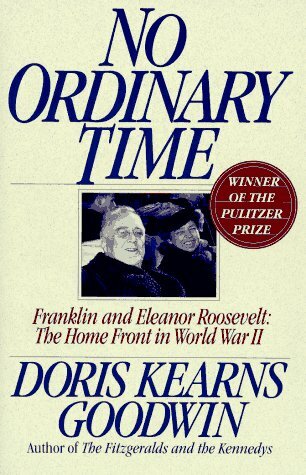 “No Ordinary Time” is a monumental work, a brilliantly conceived chronicle of one of the most vibrant and revolutionary periods in the history of the United States. With an extraordinary collection of details, Goodwin masterfully weaves together a striking number of story lines– Eleanor and Franklin’s marriage and remarkable partnership, Eleanor’s life as First Lady, and FDR’s White House and its impact on America as well as on a world at war. Goodwin effectively melds these details and stories into an unforgettable and intimate portrait of Eleanor and Franklin Roosevelt and of the time during which a new, modern America was born.